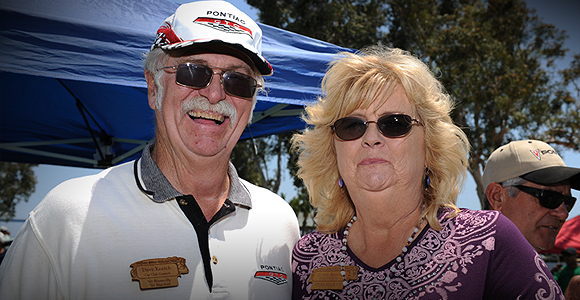 The San Diego Chapter of the Pontiac Oakland Club International (POCI) was founded in 1989. We are a club dedicated to the preservation and enjoyment of all models of Pontiacs of all years. We drive ‘em, work on ‘em, polish ‘em, restore ‘em, break ‘em, put ‘em back together again and have great fun doing it! We are individuals, couples, and families that enjoy getting together for a variety of activities. participate in many of the San Diego cruise nights, organize automotive factory, speed shop and museum tours, and join in a variety of other events throughout the year. The cars in the club range from Concourse cars, show cars, daily drivers, drag racers, and cars undergoing restoration. Our goal is to have FUN while driving our Pontiacs. Membership in the National POCI Club is optional to join our club. We do encourage all SDPOCI members to join the National Club because of the many benefits and information on their website. Copyright © 2019 SDPOCI. All rights reserved.